In August of 2006, we traveled to Nepal to visit our friend JP, who is a second generation mine owner there. We knew we were going to access some special Himalayan Stones and Crystals, and we certainly did. The Stones had asked us to support what is going on with the Earth Mother by assisting them in coming back with us to the US to be distributed to those needing the clarity, stamina and support they provide in these turbulent times. Our friend, JP, is a Brahmin whose father started the business mining crystals etc and used the profits to build schools in the outlying areas and to feed people. JP carries on this tradition of being responsible to his land (Nepal) and his people in sacredness. All of these Statues you see have been located (and some rescued) by him and they are all old and basically made of recycled Copper. So we were so wonderfully surprised when there to find these incredible Statues with JP, asking to return to the West with us also. We said, "Yes!" as you can see. We hope you can feel the courage and the trust in that "yes" as well as the potent energy in these so sacred figures. When you look at these pictures, you directly connect with the infinite love and help that our Spirits bring to us, in endless and even unexpected forms. These Sacred Statues bring us home to all the incredible support that is with us each moment, in every act, in every word....as our own hearts allow. We are blessed by the presence of these live Beings who have consciously chosen to come here (in our opinion) to not represent something necessarily traditional or religous or cultural, but to come as free live Beings holding the space for sacredness, respect and trust. They welcome in ALL of us freely in their own chosen way. We hope that you too can feel this immense blessing being offered by their physicality and spirit. Again, all of these Sacred Statues come to us from our friend JP who is a native of Nepal and currently lives in Kathmandu. 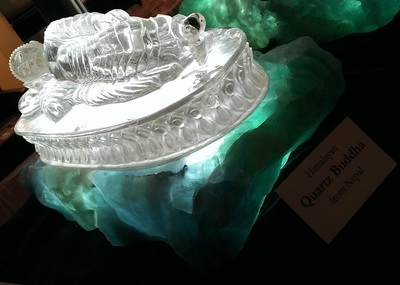 He is also our source for the Himalayan quartz you see elsewhere on this site. He is of a family of Brahmins who take their life responsibilities very seriously and work diligently towards the betterment of their community in respect and compassion. His father started mining in the Kanchenjunga area of Nepal as a way to bring a higher standard of living to the people of this area and to allow him to open schools and to bring in more food. Our friend, his son, continues on with this responsibility and practice. Upon visiting him in Nepal, we were able to personally witness and experience the truth of these things and feel the honoring of the presence of him, his family and tradition, and the process of acquiring, living with, and passing on these Sacred items. Most of our conversations and transactions with him took place in his home, in his “living room” at the foot of a huge gold Buddha that inhabited the majority of that living space(that ended up returning to the United States with us). So each day we were in Nepal, we would visit our Brahman friend and listen to Crystals. We just dedicated ourselves to that completely, not really knowing what was going to happen moment to moment. We just began every morning, quietly greeting the nearly 5 foot tall gold Buddha statue in our friend’s living space. We loved it. Our friend showed us hundreds of unique, amazing Stonebeings and fortunately for us, he also shared the stories of kindly hand harvesting them. Then he spoke about his life, his family, his country— he loved them all deeply. During this, he told us how he had rescued the regal, glorious Buddha that we were sitting in front of every day. It had been discarded and when our friend saw that he said that he loved the Buddha too much to let this statue not be honored. So he bought it. He took it to honoring craftspeople and not only did they restore it, but they rejuvenated it (with the same kind of loving Spirit and rituals that our friend and his family harvested Himalayan Crystals). They poured loving time and energy into it, and they even coated it with gold. With deep gratitude and complete honoring all around, the Himalayan Crystals AND the gold Buddha came home with us, to find new homes. It was, and is, an utterly unpredictable miracle. The gold Buddha found its new home immediately and has blessed every person who has seen it and heard its story, just as you are hearing it, too. It is filling you with awe and unexpected miracles, right now. We asked our gentle, Brahman friend to help us find other Sacred Statues, because the Spirit in them was so alive, so generous— we wanted to share them with people (usually in the West) who would not know of them otherwise. 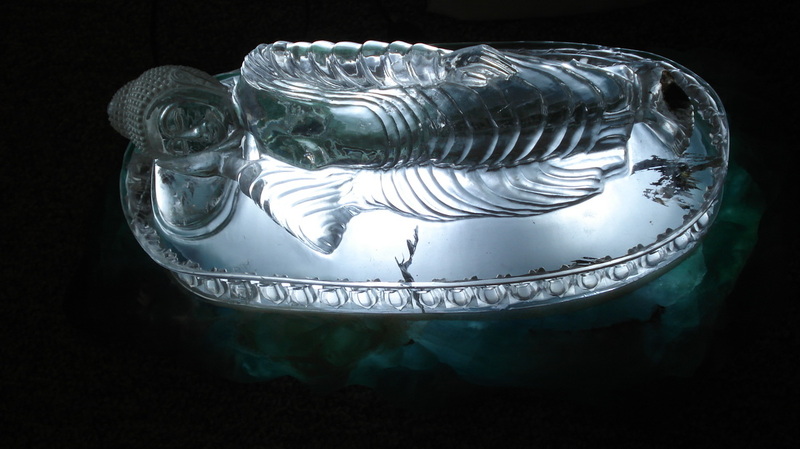 All of the Statues you see listed here are one of a kind items. They are all at least 40 years old and at least one of them, the Shiva/Shakti, is over 100 years old. They are all hand-made of copper, and some of them are made of an alchemical 7-metal blend which includes Gold and Silver. Their prices therefore begin by taking the weight of the actual Copper used as an expense and also the weight of the Gold (and other Minerals) used as an expense (most of the Statues have at least some Gold applied, and this is usually 16-18k gold). Then the quality of the workmanship is factored in as with any work of art, as well as the time it takes to finish/produce. The presence of the Being must project out from, and as, its own lifeforce. These Statues were personally packed and crated by our friend in Kathmandu, allowed out of the country by Nepal’s archeological department, and then upon arriving here with us, were unpacked and lived with here Elementally and consciously, as we offer them on to their chosen new homes. It is important that these special Statues move on to their chosen new homes in vitality and balance and be allowed to continue on with their service and responsibilities. So we hold the space with gratitude and joy. 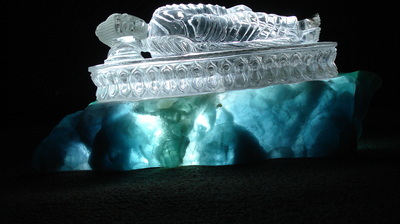 We only have a few of these special Statues for sale occasional, but we are including here also the ones that have sold so you get a chance to at least view them and their special lifeforce energy and feel how they hold space. This 5-foot tall Gold Buddha, shown above, is SOLD. This stunning Reclining Buddha is carved out of a special piece of Quartz from Ganesh Himal mountain, from above 20,000 feet. The Buddha was carved in Nepal, is approximately 18" long, and rests upon a custom, fully-lit base of Fluorite. 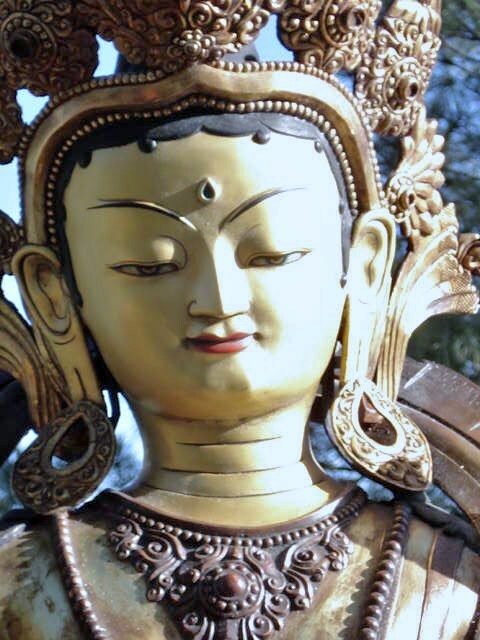 Call us for more info, as this rare and unique piece is currently the only Nepalese Statue that is available for purchase. This 6-Arm Ganesh is SOLD and now lives in Sedona, Arizona at Alice's home/sanctuary and stands at her front door as Greeter/Space Holder. This 4-foot tall 12-Arm Ganesh is SOLD and is currently holding space in New York. He looks a bit fierce at first glance, and he is intentional no doubt, but underneath it all is a vast ocean of compassion. This Shiva/Shakti is the oldest Statue we have and is the one made of the traditional 7-Metals including Gold and Silver. The Statue is of museum quality and sits on a marble base. It is now sold and is living in a private home in Tucson. 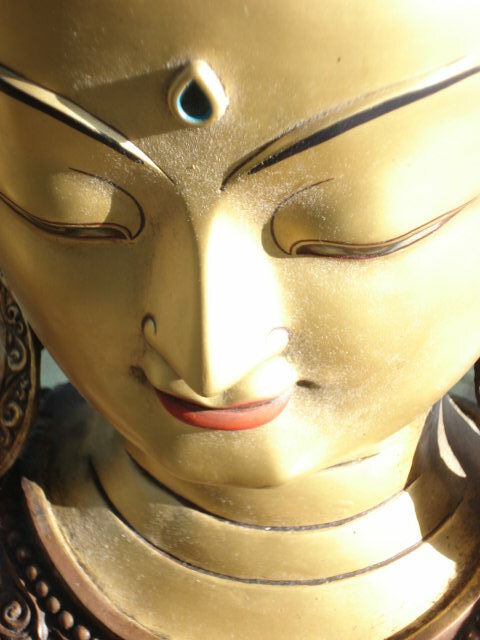 ​This Gold Tara is SOLD and is holding space magnificently at the ChocolaTree Cafe in Sedona, Arizona. This White Tara below is recently SOLD. She is museum quality and is a HUGE copper statue with a tremdous amount of carvings and detail. Overall height: 71 inches at its tallest. At her widest point, she is 59 inches. 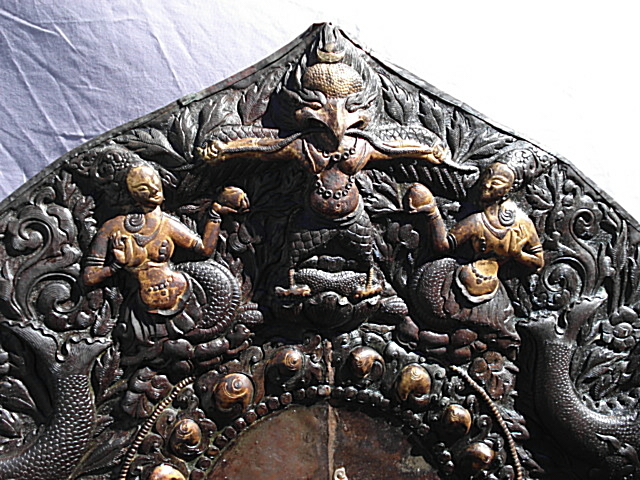 The Tara was created in 4 main pieces. 1.) The large bottom base which weights approximately 200 pounds. 2.) The lotus base that Tara actually sits on, weighs 55 pounds. 3.) The Tara herself, weighs 106 pounds. 4.) The large back display, which weighs 48.4 pounds. Call us for more detailed info and prices. We ship or deliver anywhere. We also get new Statues in occasionally. Just tell us what you might be looking for.